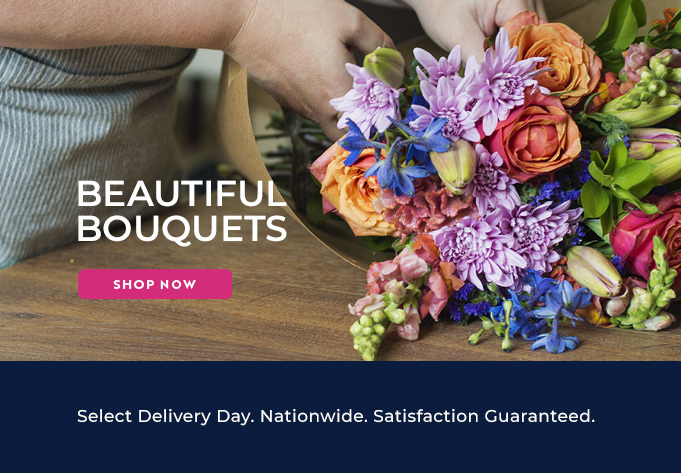 We at Bloomable (formerly SA Florist) send your fresh flowers and beautiful gifts ordered from our marketplace throughout Mossel Bay. Bloomable (formerly SA Florist) is an online collective of local gift merchants. The e-commerce website that we have created gives customers a big collection of products, sorting them by locality. This means that the closest merchants, our local traders, will be listed first and given preference. It’s personal and a fast an easy delivery experience. Bloomable (formerly SA Florist) has so many different kinds of gifts to satisfy our clients with! Flower bouquets, arrangements and hampers are available for any situation that you find yourself in. We also promise a guarantee that whatever you order is certain to be delivered to your Mossel Bay friend’s doorstep on the requested date. Our wide selection of floral gifts includes flowers such as chrysanthemums, sunflowers, Inca lilies, gerberas, freesias, St Joseph’s lilies, proteas, agapanthus, roses, carnations and still more. Our other non-floral gifts include cupcakes, silk plants, décor and even hampers of chocolate, biltong, nuts and fruit! Our lovely Mossel Bay flower and gift traders and merchants are certainly able to receive and deliver your favourite gifts for any occasion, whether it is a birthday, a funeral, a wedding or even just to spoil someone special… or yourself! Bloomable (formerly SA Florist) offers flowers or gifts for every occasion. Our online geo-locating software is only the very best and latest technology so that we can ensure you, our clientele, to have an ordering and delivery process that is as simple and easy as possible. Here at Bloomable (formerly SA Florist), we do fresh flowers fast.